Had this same workout earlier I the week, and last week, so have a standard to shoot for. 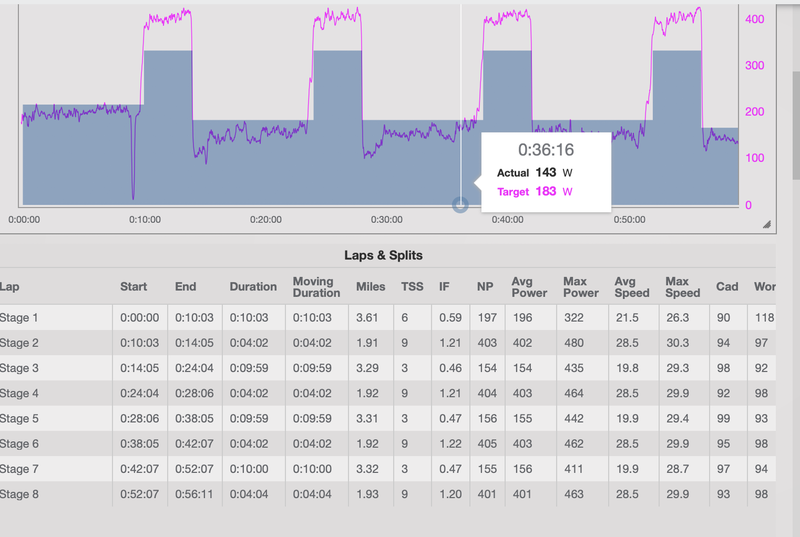 Wanted to be above 400 watts on each and held 403, 404, 405 and 401. Third day in a row with intervals or intervals/lifting. Felt a little tried but not too far off the last efforts on these. 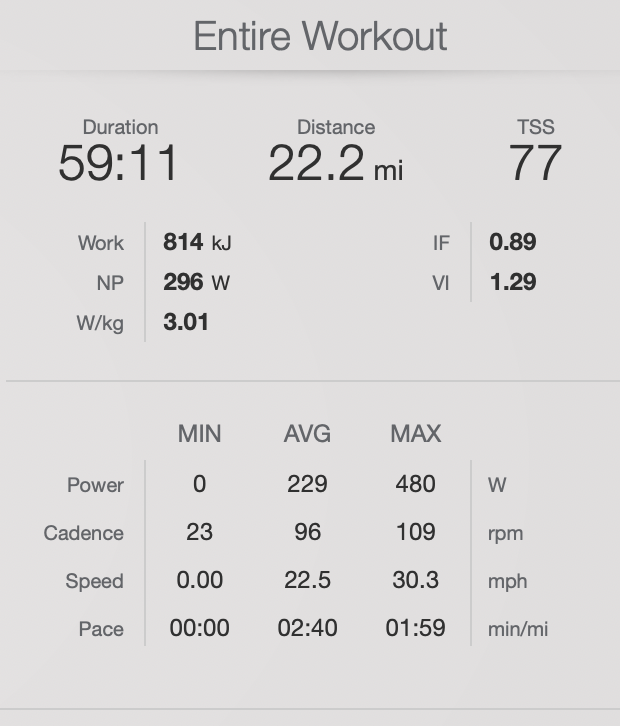 Interested to see avg for the hour at 229 but NP at 296. 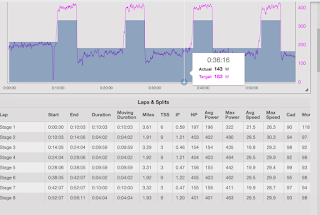 Just shows how intervals can push up that NP. 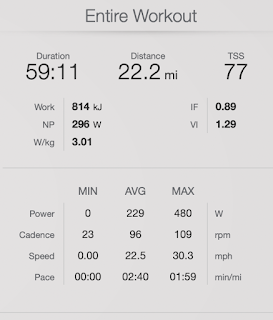 If I had ridden at 229 the entire time I would be as tired as I am with the intervals and NP takes that into account. Have the 15 on/off again tomorrow. Will see if I can set a new 2018 5 minute power record.